From simple to extreme, unusual wedding cakes can come in all shapes, sizes and flavors. One thing to remember, however, is that you still want your guests to eat and enjoy your cake, so try not to get too crazy if you are considering one for your wedding. If you are looking for something a little more unique than a cupcake wedding cake or chocolate instead of traditional white wedding cake, then an unusual cake might be a good idea for your big day. A popular idea is to design your cake to match your wedding theme. 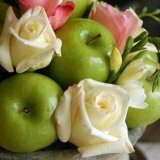 If you are having a Fall wedding, you can have your cake decorated or shaped like leaves or pumpkins. A favorite hobby is another popular choice. Cakes designed like musical instruments or a favorite sport can be a lot of fun. 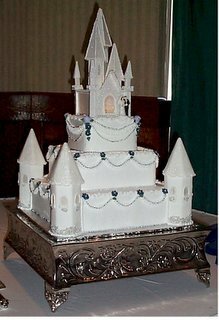 Depending on where you live you may have to search a little harder for bakers and cake designers that are experienced with unusual wedding cakes. Search online in your area and ask around. 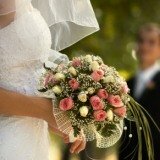 Caterers, wedding planners and reception spaces are great sources for unique vendor referrals like this. 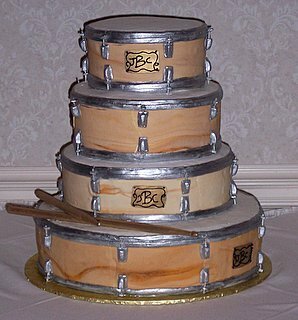 A Musical Hobby - This couple played several instruments, including the drums, which led to this drum-shaped and designed wedding cake. A Magical Theme - For a princess-themed wedding, this cake worked really well. Something Completely Different - This cake isn't even cake! 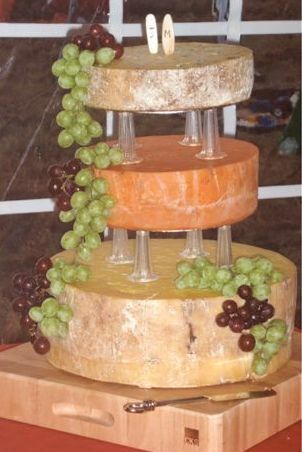 Instead, this couple chose to go with cheese to match their vineyard wedding theme. 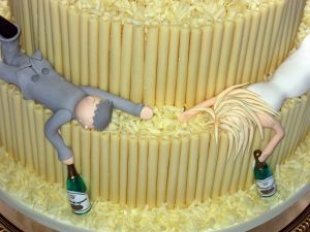 Have Some Fun - Known to be a couple that likes to party, this cake got a good laugh from the guests.